As ATC strives to stay ahead in the fast-paced Telcom Industry, we face a constant obligation to keep our Central Office equipment updated. Introducing a lead player in that endeavor: Bobby Howell, our CO Installer. 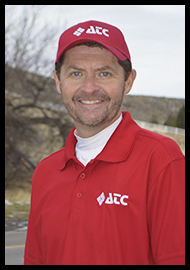 Bobby has been helping ATC with Central Office installation and repair since 1994, and has become ATC’s “Component Connoisseur”. His methodical approach to problem solving combined with a keen sense of foresight, make him a valuable asset at ATC. In his free time, Bobby enjoys hunting and golfing. In fact, if you’ve ever been fortunate enough to share a green with Bobby, you won’t be surprised to learn that he’s been a PGA Golf Professional for over 20 years. We’re thankful to have this easy-going “I-Can-Make-It-Work” guy on our ATC team!